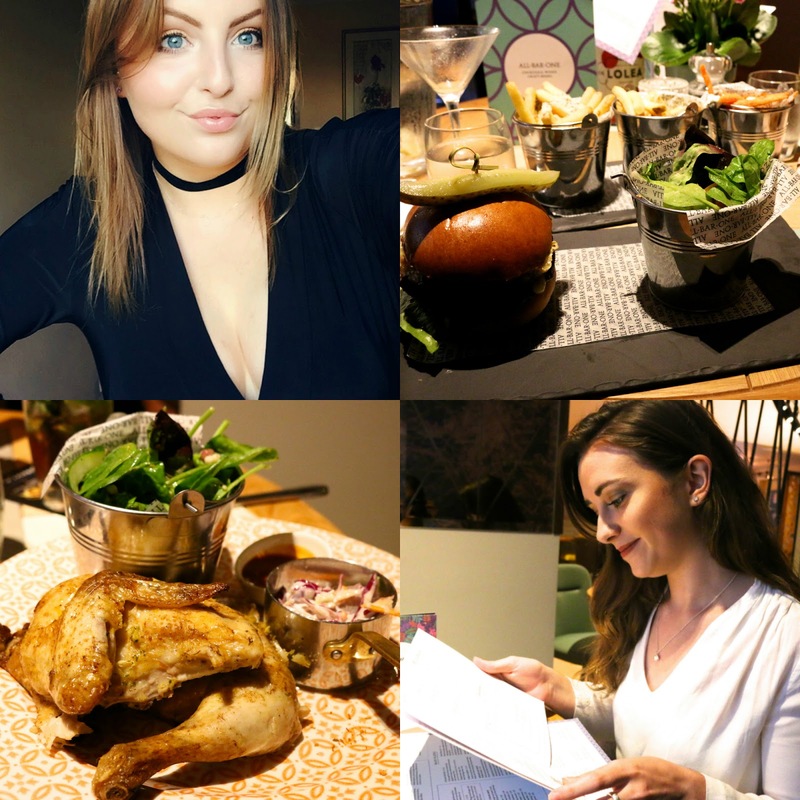 Recently I was contacted by the lovely All Bar One pr girls, so I dragged along my bff as a treat to enjoy All Bar One's food and alcohol! Woo! When we first entered the restaurant, I was greeted by the manager with 'Hannah!'... which If I'm honest really threw me off. It made me all shaky, which is silly because really he'd just done research into who was doing the review! Nonetheless, after ordering a drink it calmed my nerves! All Bar One Norwich reopened a few weeks ago, following a refurbishment. They have a great new menu, I went for the dinner but I need to try their brunch at some point! Our lovely waiter Em-J (It could be Em-Jay or M-Jay or M-J.... basically I'm sorry If I've spelt your name wrong. ), suggested that I order a specific cocktail; so I did. And Abigail, my best friend, ordered a 'Raspberry Mojito'. We then later on in the meal ordered the Long Island Ice Tea to share and were surprised when it arrived in this tea pot! Han's Order: Sun dried Tomato, Beetroot and Mozzarella Burger, 'The French' (Camembert & Red Onion Chutney) & house salad with giant couscous, pomegranate and lentil tabbouleh. I'm not going to lie, the seller for this vegi burger was definitely the fact I could have camembert on it - WHICH I LOVE. The patty pleasantly surprised me and was the best I've ever had in a long time. It was freshly made and complimented the filling perfectly. Abby's Order: Piri-Piri Half Chicken, marinated with lemon and garlic, with coleslaw & house salad with giant couscous, pomegranate and lentil tabbouleh. Our Side to Share: Trio of Fries/Three Buckets of Fries: Fries with smoked paprika and saffron aioli, fries with Parmesan, truffle oil and rosemary, sweet potato fries with sour cream and Cajun dusting. Abby's favourite were the parmesan, which I also loved, but my favourite were the smoked paprika and saffron aioli fries. Neither of us were very keen on the sweet potato fries, the sour cream was a little heavy. Abby suggested that they should add sweet chilli sauce to those fries, as that's a huge trend in Australia 'Sour Cream & Sweet Chilli' (It's like their version of cheesy chips!). How could we not pick churros, even when we were full? They came in the traditional caramel sauce and were delightful. A perfect way to end the meal! If you enjoyed this post, you can check out my review I did on Jamie Oliver's Norwich last April. I'm also on Thursday the 25th of August attending the Turtle Bay Norwich launch... Woo! I recently went on a holiday to Portugal, Vila Nova De Milfontes, with my mum dad and brother. It was lovely holiday, full of boat rides, paddle boarding, shopping, chilling on the beach/by the pool and generally getting some family time. It's sort of a tradition for me to wear an out there outfit on one night of any holiday. 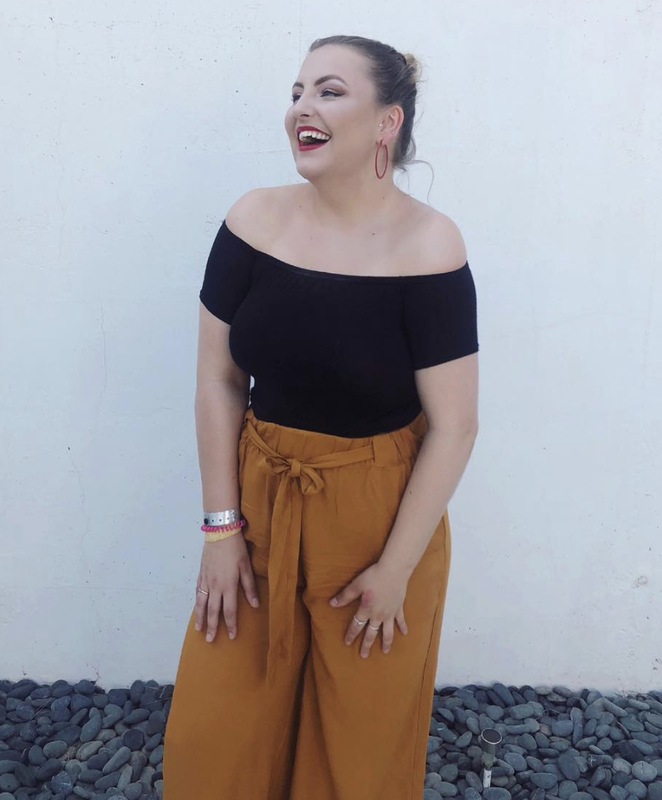 So when Zaful contacted me, I knew I had to find a striking outfit! Zaful, if you haven't heard of them, are similar to Romwe/SheIn. I was a little bit worried about the sizing when I picked this dress. I'm a size 10 and I had to order a Large, I understand that this is chinese sizing but as a 5ft3 Size 10 it was a bit insulting haha! Speaking of height, I wore this dress without heels and it was not too long, which is normally an issue for me. The beautiful necklace i'm wearing is from Lisa Angel, thank you George! Of course the holiday was full of cocktails! *FUN FACT* The last two shots were taken by a man who works for the National Geographic! He saw us taking some snaps and took some photos, as well as showing me a trick for my Canon EOS 70D. I also did a vlog which I will be uploading soon on my youtube channel. Me and my dad filmed a cover which will be accompanying it (we're coote). I hope you enjoyed this blog post, if you did be sure to head over to my twitter/instagram/facebook like and share!